Hey Pittsburgh! Have you gotten your Valentine's Day plans squared away yet? If not, then feast your eyes on my Top 5 Valentine's Day restaurants - perfect for any relationship status. Each of these restaurants promise interesting, mouth watering menu items, great settings (some more intimate than others), and good company! Hope your Valentine's Day is scrumptious! Penn Ave. Fish Company is one of my favorite places in the city for seafood! Served fresh everyday, they specialize in sushi, gigantic fish sandwiches (grilled or fried), fish soups, and daily specialty entrees. With locations in the Strip District and Downtown, it provides an upscale, trendy, yet comfortable environment with fun and interesting staff to talk to as they prepare your food. Here, you can literally get dinner, then buy fresh fish for later on in the weekend - market style- before you leave. Grab a bottle of wine and get ready to have some of the best seafood in Pittsburgh. They're planning a special menu for Valentine's Day that includes oysters on half shell! Find out more and make a reservation HERE. You may be thinking, "Pizza? Seriously?" But quite the contrary, pizza can be very romantic (you can share it) especially in a place like Mercurio's. Mercurio's is a new hot spot on Walnut St. for Italian food. It's a family owned and operated restaurant specializing in fresh and authentic Italian dishes: oven roasted pizzas, anti-pasta, paninis, salads, and best of all - homemade artisan gelato in over 40 interesting flavors (stracciatella anyone?)! With a small bistro-like feel, Mercurio's is perfect for a romantic and relaxing Valentine's dinner. 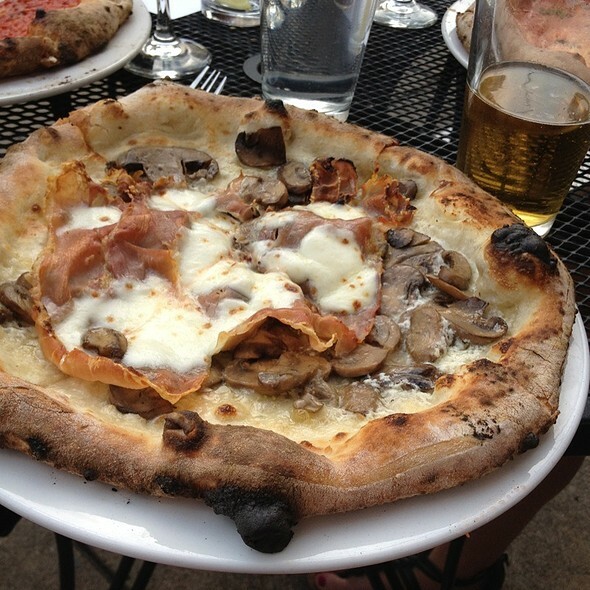 Share a pizza, some antipasti and a bottle of wine from their list, then finish it off with a decadent scoop of gelato. Buon Apetito! Find out more about Mercurio's HERE. Since sharing is caring on a day such as Valentine's Day, why not take it to the next level at a place that encourages sharing food and eating with your hands? Located at Penn Circle in East Liberty, Abay serves up authentic Ethiopian cuisine that begs to be shared and enjoyed with others. As you sit around the mesobs - traditional basket-like tables - you'll experience authentic Ethiopian culture, from everything to the art on the walls to their interesting menu. Each platter is served with injera - an Ethiopian flatbread - as a substitution for a plate, fork or spoon. 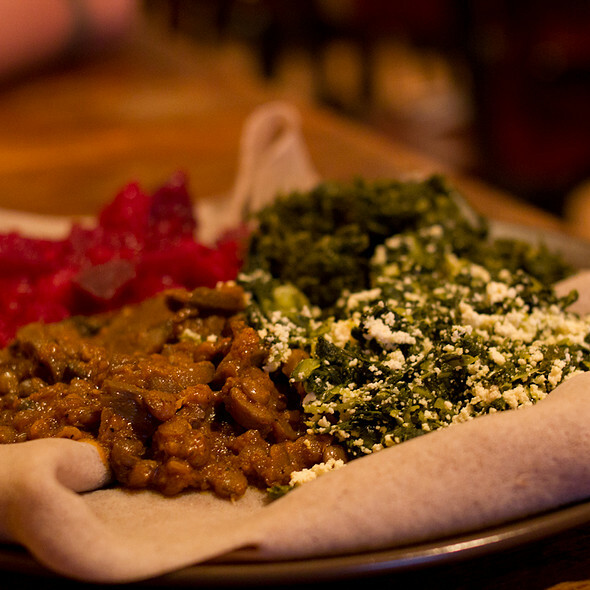 Simply tear off a piece of injera and dunk it into one of their amazing, saucy dishes. Finish it off with an Ethiopian coffee and a dessert!. Don't worry, if you're scared to make a mess in front of your date, there is regular seating and utensils available upon request. Find out more about Abay HERE. Headed for a night on the town - Downtown that is? Seviche is a perfect spot to take your sweetheart or a group of friends to for a spicy Valentine's Day treat. Seviche is Pittsburgh's hottest Spanish tapas restaurant with menu items perfect for a group tasting or a couple's feast in an order-as-you-go fashion. 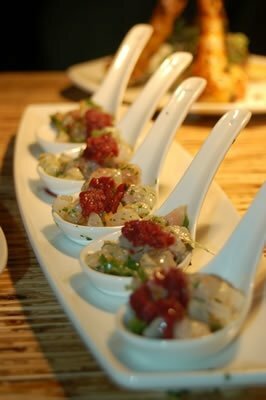 Seviche is a preparation of fresh seafood marinated in citrus juice and then consumed moments later - at Seviche they feature seven different preparations as well as other tapas style entrees - mini pork cubans, ahi tuna sliders, bistec and empanadas. It's a great place to go if you and your date are the indecisive kind who want to try a little bit of everything. This year, Seviche has a special Valentine's Day menu prepared for $80 a couple which features a three-course meal, dessert, and a complimentary glass of sparkling wine. See the menu HERE and find out more about Seviche HERE. 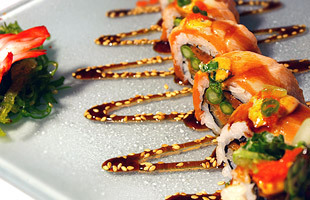 Not into the whole fluff and frills of Valentine's Day, but still want to have an amazing dinner? Head down to Hofbrauhaus for some schnitzel and a stein! Hofbrahaus is a traditional German style beer hall featuring authentic German dishes - can you say Kartoffelpfannkuchen (aka potato pancakes), German beer which they brew on site (this month's specialty beer is a Dopplebock called "Adulterator" with hints of chocolate, coffee and caramel), live German music, and of course - shot skis!!!!! 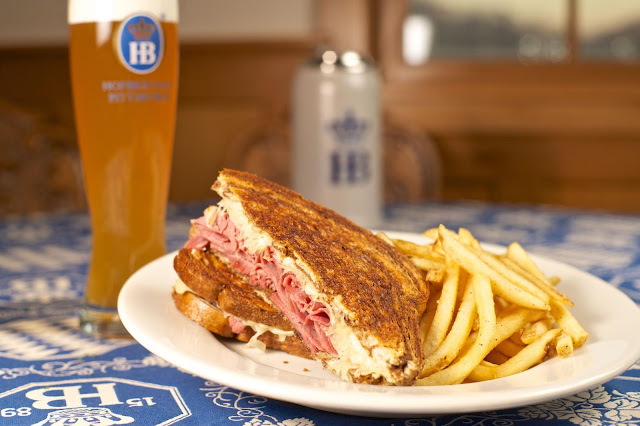 For Valentine's Day they have a special menu for $50 a couple that includes a choice of the house wine or of half liter of beer...I mean bier..Check out the Valentine's Day menu HERE and get more info on Hofbrauhaus HERE. You have read this article Abay / Best restaurants for Valentine's Day in Pittsburgh / Hofbrauhaus / Mercurio's / Penn Avenue Fish Company / Seviche / top valentines day restaurants in Pittsburgh / Valentine's Day Pittsburgh with the title Top 5 Tuesday | Valentine's Day Dinner Restaurants . 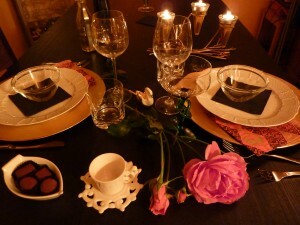 You can bookmark this page URL http://afreakatheart.blogspot.com/2013/02/top-5-tuesday-valentine-day-dinner.html. Thanks! 1 comment for "Top 5 Tuesday | Valentine's Day Dinner Restaurants "